Ooty is a wonderful hill destination and you will come across a number of people visiting Ooty every year. Ooty can be visited all round the year but the best time to visit Ooty is March – June when the weather is pleasant, and is ideal for sightseeing. Ooty is well connected through different means of transport. There are number of buses through which tourists reach Ooty every day. The nearest airport to Ooty is Coimbatore International Airport which is around 88 Km away from Ooty. Other than this, Ooty has its own railway station and is well connected to major cities via road too. What is the minimum number of days of stays required to cover Ooty? Ooty is a place to relax and to enjoy the beauty of Ooty, 3-4 days are enough for that. Which are the things you can buy from Ooty? You can buy Hill honey, homemade chocolates, eucaluptus oil, varki, original nilgiri leaf tea, and organic cheese, fresh spices like cloves, nutmeg, pepper and cardamom from Ooty. Where to look for best hotels with discounts at Ooty? 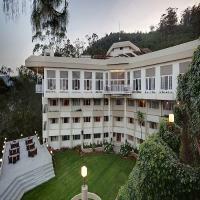 Cleartrip offers you some of the best hotels at Ooty. And thus when you login to hotel booking page of Ooty then you can choose from the best hotel options of Ooty. 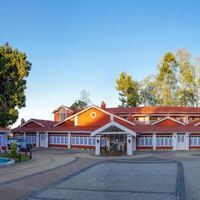 All the hotels listed at Cleartrip are verified and thus you can easily get through some of the best hotel options at Ooty at attractive deals. What is Ooty famous for? Ooty is well known for beautiful locations and sightseeing spots. . It has beautiful mountains, lakes, forests and refreshing tea gardens, which makes it an ideal place to experience the nature. What are the top 5 places worth visiting in Ooty? Ooty is regularly visited by tourists as it offers a huge list of tourist friendly places. But the top 5 places worth visiting in Ooty are – Botanical Garden, Emerald Lake, Pykara, Mudumalai and Avalanche Lake. What are the popular eat-outs of Ooty? Since Ooty is regularly flocked by tourists thus the city’s culinary taste has also evolved over time. 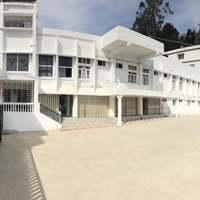 Thus, some of the most popular eat-outs of Ooty are – Sidewalk Café, Tandoor Mahal, Shinkow’s Chinese Restaurant, Wang’s Kitchen, Savoy Hotel and Hotel Dasaprakash. What are the different hotel options in Ooty? Ooty is visited by tourists of different categories and different preferences all year round. 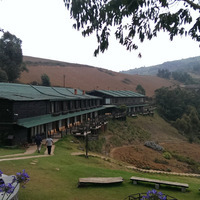 And thus you can get through a number of hotel options from budget to 5-star hotels in Ooty. 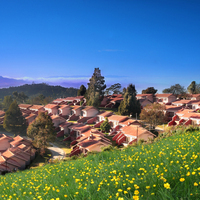 You can book your stay in Ooty with Cleartrip for best deals. 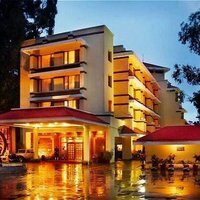 How to book budget hotels in Ooty? To book budget hotels in Ooty, log on to Cleartrip website or app. Some of the available options are RK Holiday Homes, Hotel Preethi Palace and many more. Which are the famous Churches in Ooty? 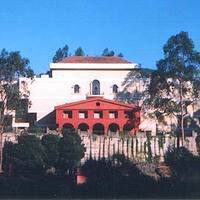 The most famous church in Ooty is the St. Stephen’s Church. Other famous ones are Union Church, St. Mary's Church, St. Theresas Church, Holy Trinity Church, Thomas Church, Sacred Heart Church, and Kandal Shrine. Which are the famous shopping markets in Ooty? For some leisurely shopping in Ooty, visit The Municipal Market and Co-operative Super Market and Upper and Lower Bazaar Roads. Can Unmarried couples stay at Ooty hotels? Unmarried couples can stay at Ooty hotels but of course if the hotel policy permits. Thus, you need to go through the hotel policy. Also, make sure that both of you carry proper ID proofs and documents so that you can make your stay at Ooty comfortable and hassle free. What activities can I enjoy in Ooty? Ooty is a great place for adventure lovers and outdoor activities. Trekking, jeep safari, boating, horse riding and mountain biking are some of the things to do in Ooty . Name some of the best resorts in Ooty? 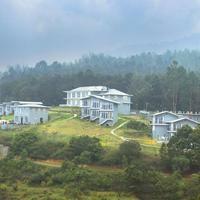 Some of the best resorts in Ooty are – Hotel Lake View, Sagar Holiday Resort, Fortune Retreats and many more. 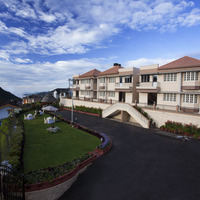 What are the best 5 star properties at Ooty? 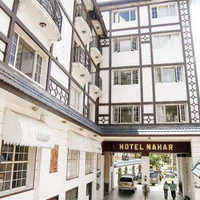 Ooty has only one 5 star property by the name of Taj Savoy Hotel. To book this 5-star hotel , log on to Cleartrip website to experience a hassle-free experience. 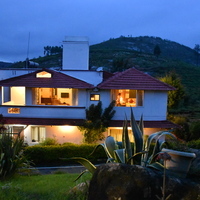 Name some of the homestays in Ooty? 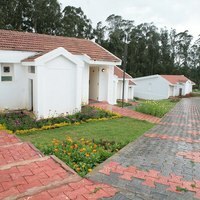 Some of the homestays in Ooty are Silver Oak Annexe and Red Hills Nature Resort. For a comfortable stay in Ooty, book the best through Cleartrip. 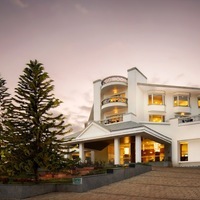 How can you get the best hotels at Ooty location wise? Cleartrip offers you a unique service where you can choose hotels on the basis of location . This can be done by using localities wise dropdown at the Cleartrip hotels page. Do Ooty hotels have pool facility? 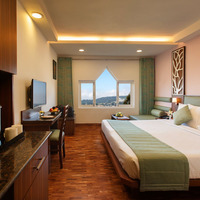 There are few hotels at Ooty which can offer you pool facility like for instance Taj Savoy Hotel For more options, just select hotels with pool while making bookings at Cleartrip website. 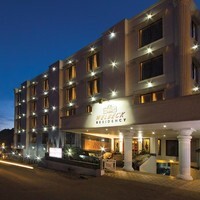 What are the various hotel chain options available at Ooty? 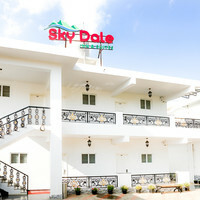 Some of the hotel chain options in Ootyare –Club Mahindra, Fortune Hotels and Treebo Hotels. To book hotels in any of these hotels log on Cleartrip website and select the hotel chain using dropdown option. What are the famous lakes in Ooty? Some of the famous lakes in Ooty are Ooty Lake, Emerald Lake, Upper Bhavani Lake, Avalanche Lake, Pykara Lake and Kamaraj Sagar Lake. What are some of the best weekend gateways from Ooty? Coimbatore, Mudumalai, Nilambur, Theni, Munnar, Mysore are some of the most popular weekend getaways from Ooty. Which are the popular bars and pubs in Ooty? Some of the best bars in Ooty are Selbourne’s Bar at Fortune Resort, Sullivan Court, Valley Bar at Hotel Gem Park and The Canterbury Bar at Taj Savoy Hotel and Aliens – The Fun Pub. How is the nightlife at Ooty? 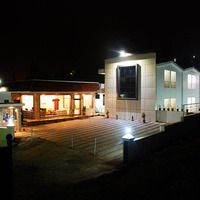 Nightlife in Ooty is still emerging and is restricted to bars and lounges in premier hotels only. However, you can enjoy a night in Ooty by taking a walk along the lakes or just enjoying a stroll along the local markets of Ooty. Which are the popular waterfalls in Ooty? Catherine Falls, Pykara Lake and Waterfalls, Kalhatti Falls and Law’s Falls are some of the popular waterfalls in Ooty. Which are the top gardens in Ooty? Top major beautiful gardens in Ooty are Botanical Garden, Rose Garden, Sims Park and Kattery Park. Is bar facility available at Ooty Hotels? Yes, Ooty is a tourist friendly city and many international tourists also visit Ooty all year round. 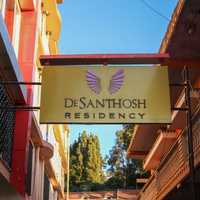 And thus you will come across a number of hotels which can offer you alcohol facility easily at Ooty. 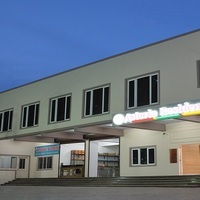 Some of the hotels with bar facility are Mount N Mist, Hotel Jaysanthi and so on. Is coffee shop available at Ooty hotels? Yes there are many hotels that have an in-house coffee shop. Some of the hotels with coffee shop are Taj Savoy Hotel, Mount N Mist and Willow Hill. Does Ooty hotels have Wi-Fi facility? 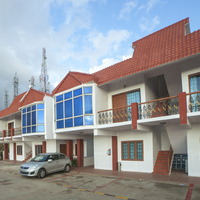 Wi-Fi facility is easily available at Ooty hotels. Hotel Lake View, S K Palms are few of the hotels with Wi-Fi . What are some of the other interesting places to visit in Ooty? Ooty has a vast array of tourist places for sightseeing. Ooty is mostly known for its historic monuments but other than that,some of the most interesting places at Ooty are – Tiger hill, Annamalai Temple, Droog Fort, Lamb’s Rock and Doddabetta Park.